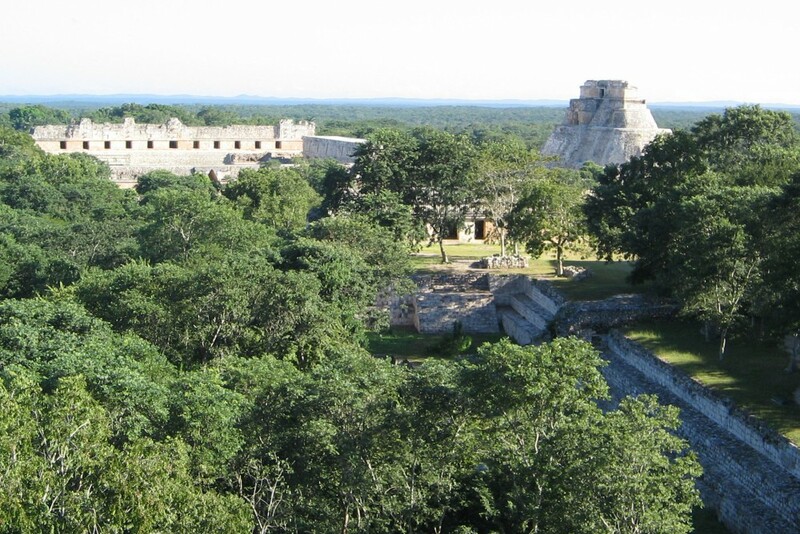 Uxmal is one of the most well known of the Maya cities, and rated by many archaeologists as the finest. In area the site is fairly compact, though you should allow at least half a day for a first visit, after which you’ll probably want to return to go over the site in more detail. There has been much renovation work and the grounds are well tended, but wear good shoes if you intend to do any climbing. It is currently permitted to climb the largest structure, the Pyramid of the Magician, and the view from the top is well worth the effort, though the steps are extremely steep. Facilities at the entrance are excellent, with cafeterias, souvenir shops and toilet facilities. There is also a small museum and auditorium. If you arrive early, skip the museum and see the site first before the heat is too uncomfortable. The site is open between 8:00am and 5:00pm, with a sound and light show in the evening. As usual, we recommend an early or late visit to avoid the midday heat. There’s an admission fee of around $10 and a further fee for the sound and light show. All the sites are free on Sundays. 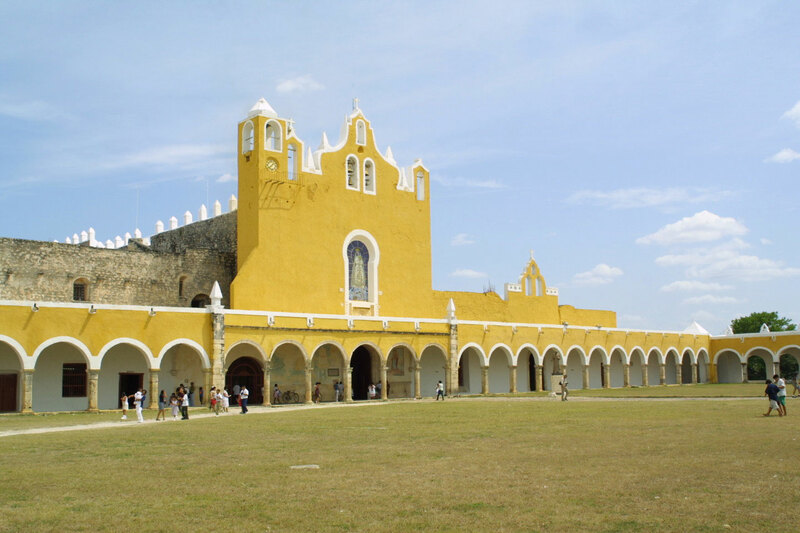 From Merida, follow the 261 in the direction of Campeche. 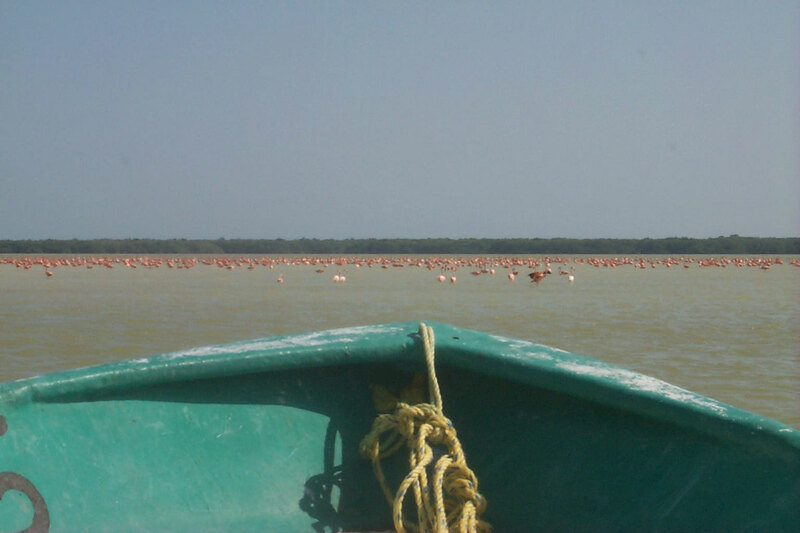 The site is about 70 miles (110 km) from Merida and it should take about an hour by car. The entrance is very well signed from the 261. We recommend hiring a car as the best way to see Uxmal and the other Puuc sites with some flexibility. 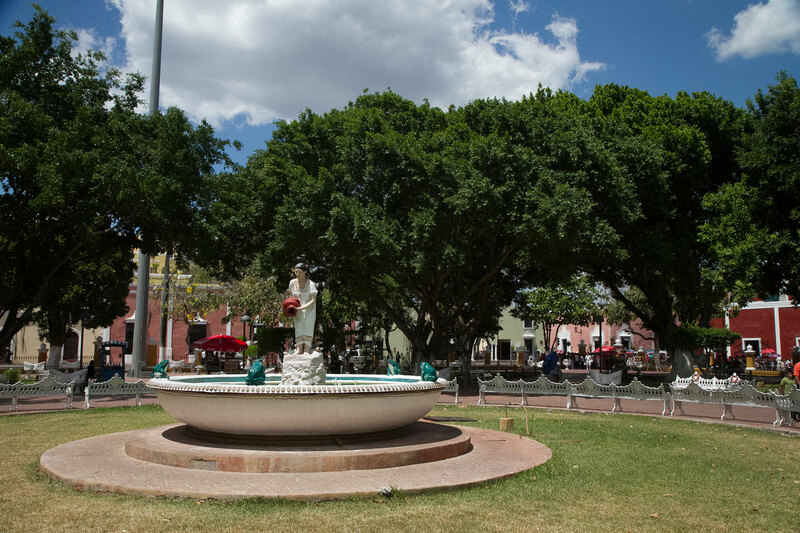 Otherwise, take a tour from Merida. Background. The name Uxmal means ‘thrice-built’ in Mayan, referring to the construction of its highest structure, the Pyramid of the Magician. The Maya would often build a new temple over an existing one, and in this case five stages of construction have actually been found. Uxmal was one of the largest cities of the Yucatan peninsula, and at its height was home to about 25,000 Maya. 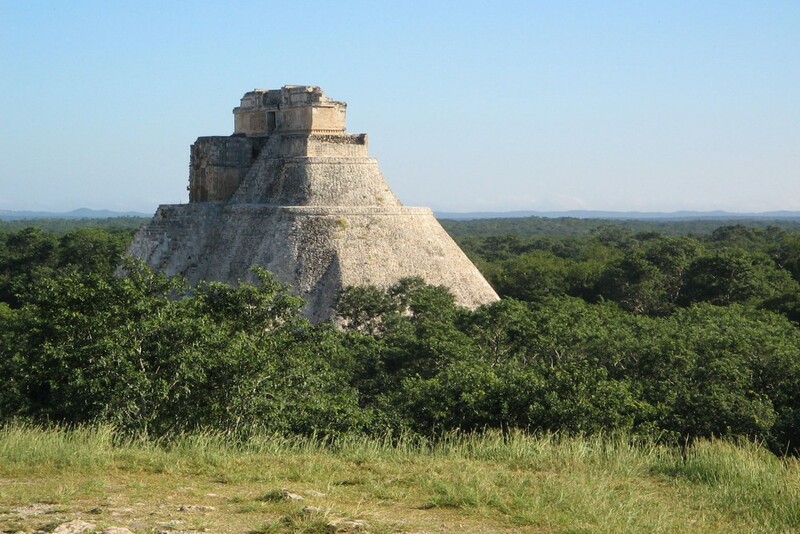 Like the other Puuc sites, it flourished in the Late Classic period (around 600-900AD). Indications are that its rulers presided also over the nearby settlements in Kabah, Labna and Sayil, and there are several sacbeob connecting the sites. The area is known as the Ruta Puuc or Puuc route, from the nearby hills. Chac was the god of rain, greatly revered by the Maya at Uxmal because of the lack of natural water supplies in the city. Although the Yucatan has no surface rivers, most Maya cities, including Chichen Itza, used cenotes to access underground water, however there were no cenotes at Uxmal. Instead, it was necessary to collect water in chultunes or cisterns, built in the ground. 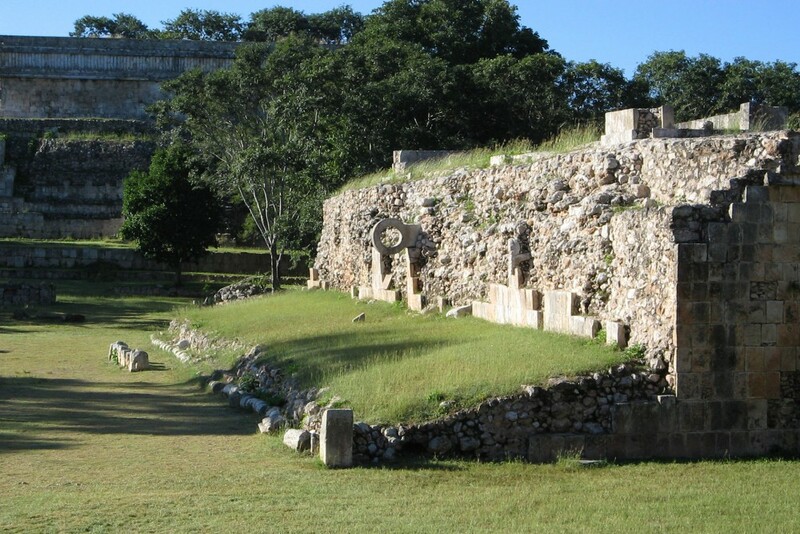 The proximity of the Puuc hills did mean, however, that comparatively rich soil from the hilltop forests was washed down the slopes during rainstorms, making the area one of the most successful agricultural regions of the Yucatan. Human Sacrifice. In “Incidents of Travel in the Yucatan” John Stevens recounts stories of the human sacrifices performed at the highest temple of the House of the Magician. With the victim still alive, the priest would rip out the heart with a flint knife, and throw the body (allegedly still moving) down the steep steps. The Legend of the Pyramid of the Magician. 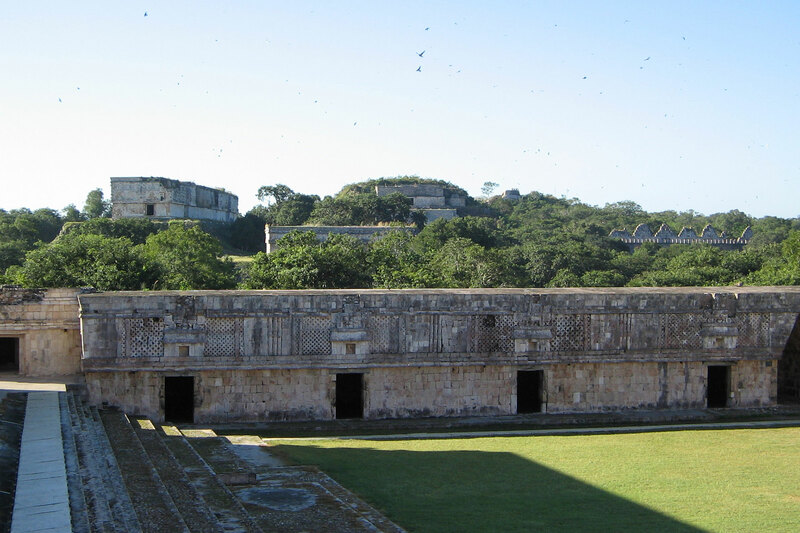 Legend held that when a certain gong was sounded, the town of Uxmal would fall to a boy “not born of woman”. One day, a dwarf boy, who had been raised from an egg by a witch, sounded the gong and struck fear into the ruler, who ordered him to be executed. The ruler promised that the boy’s life would be saved if he could perform three impossible tasks, one of which was to build a giant pyramid in a single night. The boy achieved all the tasks, and became the new ruler. The Pyramid of the Magician. Standing 117 feet (38 m) high, this structure dominates your view as you enter the complex. Unusually built on an elliptical base, this pyramid is the result of five superimposed temples. Parts of the first temple can be seen when ascending the western staircase; the second and third are accessed by the eastern staircase, in an inner chamber at the second level. The fourth temple is clearly visible from the west side, a giant Chac mask marks the entrance and Chac’s mouth is the door! Note also the series of Chac masks on the sides of the stairway. Climb to the top of the east stairs to reach the fifth temple and view the whole site. The Nunnery Quadrangle. This collection of four buildings around a quadrangle was named “Casa de las Monjas” (The Nunnery) by the Spanish, because the 74 small rooms around the courtyard reminded them of nuns’ quarters in a Spanish convent. Each of the four buildings has a unique ornate façade, and each is built on a different level. 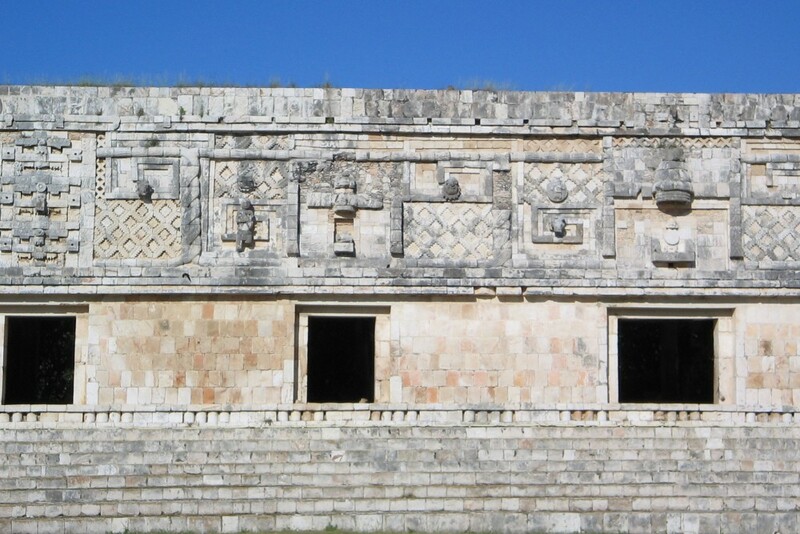 The northern building is the oldest and the grandest; here you can see many typical Puuc embellishments – Chac masks arranged one over another vertically, serpents and lattice work. The building to the east and closest to the House of the Magician is the best preserved, with a stack of Chac masks over the central doorway and serpents above the doorways to the left and right. The exact purpose of the group is not known, though, given the size and importance of the site, it is thought likely to have housed visiting dignitaries or administrative offices. The Palace of the Governor. Regarded by many experts as the best example of Puuc architecture in existence, the Palace of the Governor stands on an artificial raised platform and is thought to be one of the last constructed building on the site (around 987AD). The structure has a typical plain lower section and a richly carved upper. Amongst the depictions are serpents, lattices and masks and also a central seated god-like figure with a long plumed head-dress. House of the Turtles. Next to the Palace of the Governor and on the same raised platform stands the House of the Turtles, so called because of a frieze of turtles carved around the cornice. It was believed that turtles suffered with man at times of drought and would also pray to Chac for rain. The Great Pyramid. Originally nine levels high, the Great Pyramid has been partially restored. It seems that another temple was to be superimposed on the existing structure and some demolition had taken place before the plans were halted, leaving the pyramid in bad condition. However, you can still see Puuc-style stonework on the façade. Other Structures. Follow the signs to more areas of interest outside the central section; the beautiful but sadly ruined House of the Doves, the House of the Old Woman (the adoptive mother of the dwarf in the legend of the Pyramid of the Magician), the Temple of the Phalli and the Cemetery Group.